Refractory materials and lining reliability are key to increasing the performance of fired heaters, incinerators, kilns and reactors across a range of industries. Not only can the right refractory lining optimise production yield and minimise energy costs, but it can also enable consistent high performance of a furnace over the lifecycle of the refractory lining, in some cases, for as long as 20 years. However, it is not uncommon for a refractory material to fail, resulting in energy wastage, reduced performance and in some cases, complete heater shutdown. Through careful collaboration between end-users and refractory material suppliers, the risk of failure can be significantly minimised, and reliability improved. This is often material, design, or installation related. If the modules and support anchoring are missing, the most likely cause is an installation, insufficient stud welding, or excessive corrosion from the shell caused by sulphur or rust. If most of the fibre is missing but the support anchoring is intact, it is more likely to be down to mechanical abuse, for example water placing excess weight on the fibre. Since fibre is 90% porous, it absorbs many times its weight in water. Make sure you check the fiber to see if it was torn off the anchoring, or has signs of water damage. It is always important to look at the area affected and take note of what it is telling you. Are there gaps in the fibrer? Is a hot spot associated with the gaps? Always check the fibre chemistry and design to ensure you can quarantine fallen fibres before the issue spreads. Insulating fire bricks (IFBs) are commonplace in many fired heaters and like any lining, require good materials, design, and installation to give good life in service. Upon examining IFB linings closely in the event of failure, you may be able to determine if they were the root cause. Look for hotspots outside the unit. If the wall is in bad shape, this may indicate issues with the back-up lining. To address voids, pump hot spot repair materials in from the outside of an operating unit. Make sure you also look at the face of the brick. 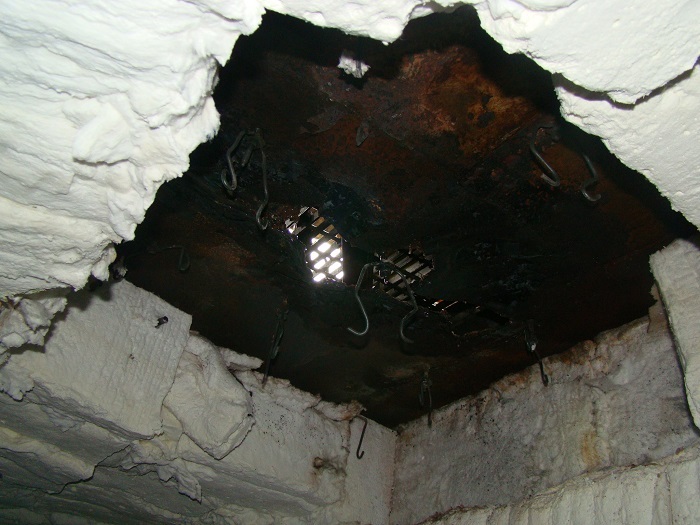 It may have melted or cracked, which indicates higher furnace operating temperatures, possible fuel impurities, or the wrong grade brick being used. If the hot face brick is in good shape but the wall is bowed, this could be due to inadequate thermal expansion provisions which can also be a result of changing operating conditions, and higher outputs or box temperatures . It is not uncommon to see walls lean to some extent, but if they lean too much, this can cause failure and could be a result of the floor not being level. A lot of wall issues are also due to inadequate expansion provisions (design), particularly if you increase operating conditions to higher temperatures than expected. Increased temperatures can also cause slumping over time. Remember not all firebricks are created equal and differ in formula, firing and high temperature properties. The key to making the best selection is investigating both the ambient and hot strength properties. Don’t focus too much on cost but on reliability – the best products for the job are typically not the cheapest. Castable linings are unique as they are not in a finished state when they leave a manufacturing facility. This means final quality is dependent on the installer. Materials must be mixed with clean water of the correct temperature range, installed and cured, before water is removed during the dry-out. If dry-out is not done in a slow and controlled manner, the castable can explosively spall. Shrinkage cracking is normal, but if this becomes excessive it could be a consequence of poor installation, and may indicate that too much water was used. This is a common issue when temperatures increase since the original design. Provisions for reversible thermal expansion or expansion joints in floor should be protected as they can easily be filled with debris during normal operation, limiting the gap’s movement capability. It’s good practice to regularly vacuum gaps to avoid debris build-up. Floor cracking is also common when dissimilar materials are used. If you have a floor fired unit you will have castable burner blocks of a certain material grade and a different floor material surrounding the burner. It’s common to see cracks appear at the corner of the burner blocks if inadequate expansion joints are not installed. 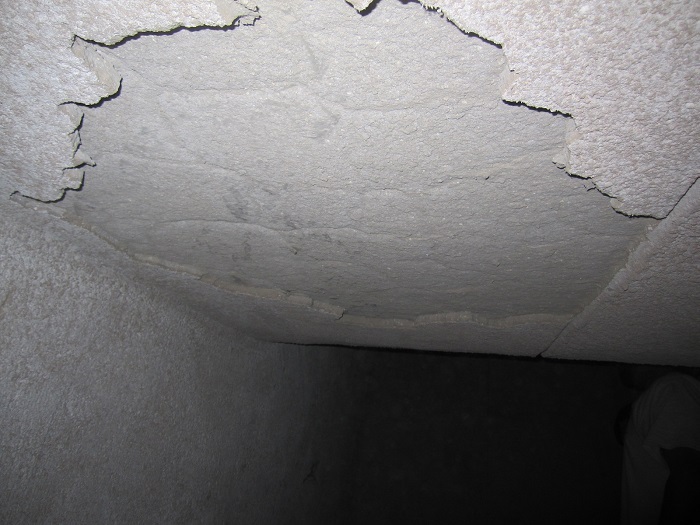 Castables are prone to damage during the construction and shipping process and this often manifests itself in the form of visual cracks, typically through the entire thickness. You may also notice some pinch spalling at the surface, which indicates directional mechanical flexure of the steel. Corbels may also be susceptible to damage as they protrude from the base lining. Any apparent damage should be quickly repaired, and the affected portion of the lining removed and replaced to avoid damaging surrounding materials. Dissimilar refractory materials adjacently located are common, particularly surrounding openings such as doors (fibre and brick), peep sights (IFB, castable, fibre modules), burner blocks and pressure relief doors. Because dissimilar materials have different refractory properties at elevated temperatures, this makes a homogenous design difficult. 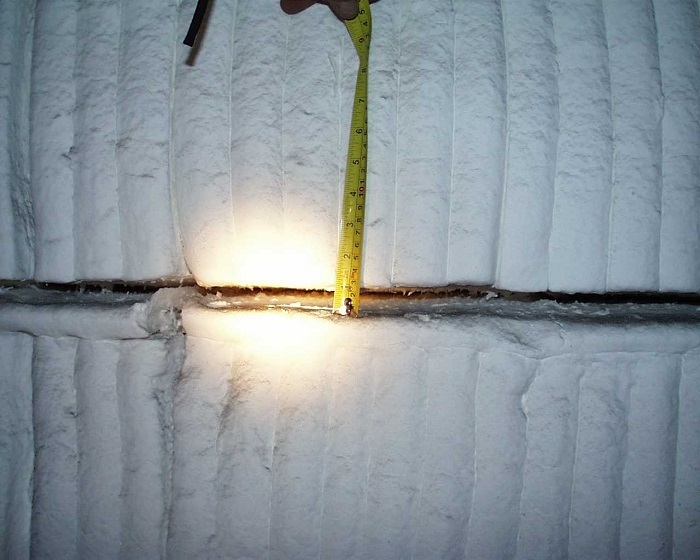 In many cases outlined above, the hot effluent gases will make their way through the compromised refractory lining, resulting in hotspots on the outer casing. If these surround peep sights and door openings, it’s possible that the interface designs are inadequate. In the case of the peep sight, you should use similar refractory materials to those surrounding the opening to avoid design issues and to create the best possible seal. Tube seals will also provide personnel protection, encouraging an influx of ambient air into the furnace. For peep sights and walls, always use a high temperature fibre expansion joint, as this will avoid the issue of having to mate an expanding material (IFB) with a material that expands and shrinks differently (castable). Morgan Advanced Materials and SK Energy have collaborated on a white paper. 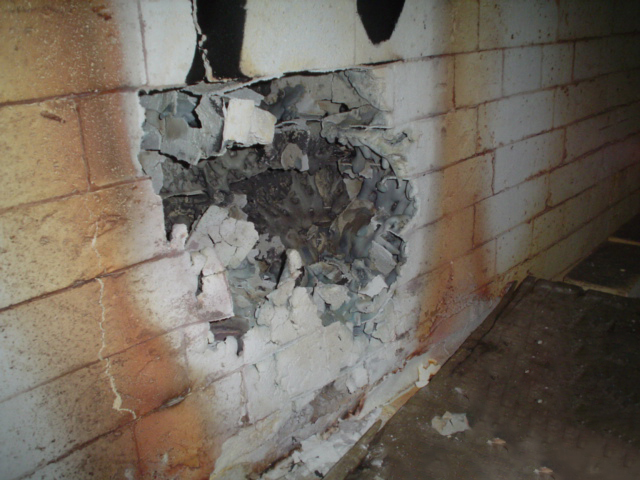 This highlights some of the common signs that failure is imminent, how to determine root causes, as well as sharing refractory lining best practice to improve unit reliability. For more information, click HERE.